DON’T FORGET TO CONTACT YOUR CONGRESSIONAL REPRESENTATIVES!! Call or write them about issues that are important to you as often as you can!! Suggestions from a former Congressional Staffer on best impact contacts. or check THIS guide for ways to get Gardner to show up for a public meeting. CLICK HERE for a GUIDE to ways to get Congressional Representatives to show up for a public meeting. He won’t let you send email unless your address is in his district!! 81501 – 80507 work! He won’t let you send email unless your address is in his district!! 80828 works! He won’t let you send email unless your address is in his district!! 80901 – 80927 work! He won’t let you send email unless your address is in his district!! 80010 – 10019 work! 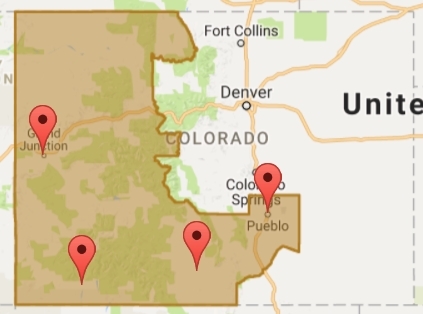 DON’T FORGET YOUR LOCAL STATE OF COLORADO REPS! !